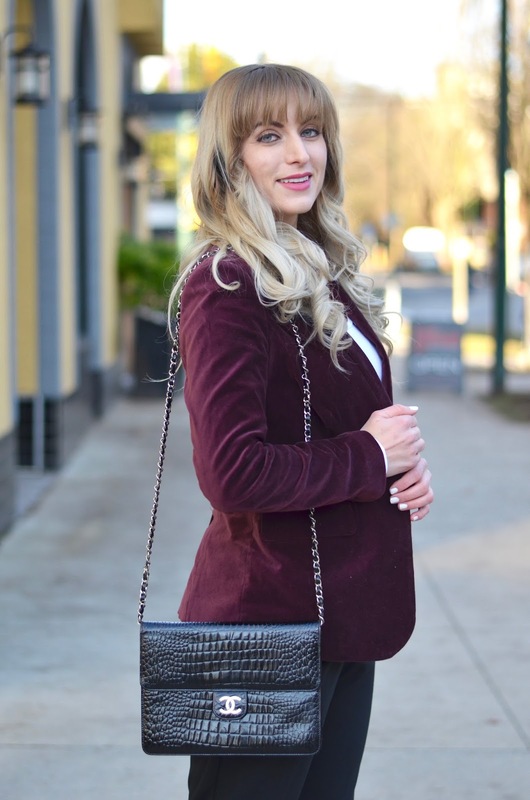 I got a reader question on Facebook a while back asking how to style the popular velvet trend in a way that is work appropriate. I loved this question (thanks reader!) because I think that most trends can be made work appropriate. Velvet, is no exception. 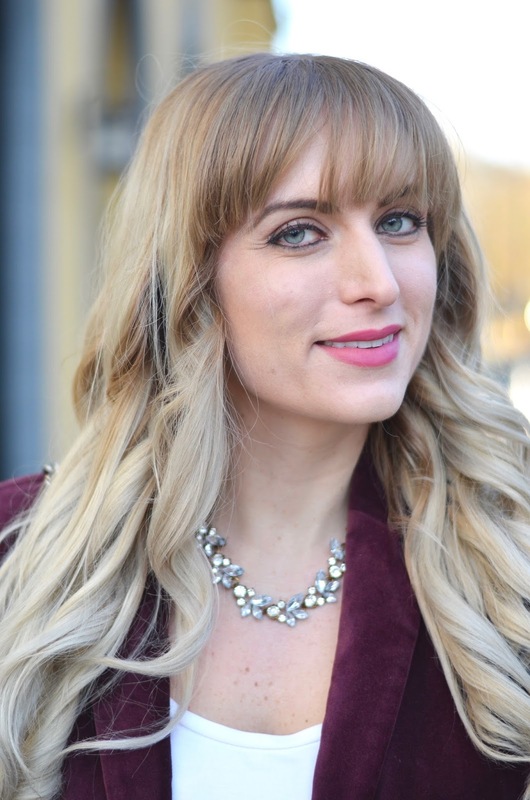 When styling velvet for the office, or anytime where you don’t want the ‘romantic’ vibe often associated with it, stick to one velvet item, and make that the focal point of your outfit. 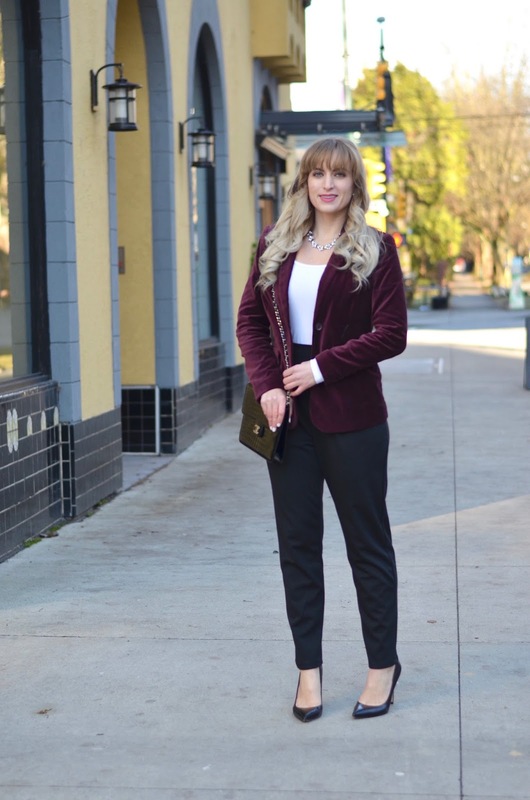 This velvet blazer is a new favorite item of mine. I love how easy it is to throw on top of a classic work look and really make the whole outfit feel on trend. 1. Stick with deeper shades. Wine, navy and emerald are perfect colors that keep the item business casual appropriate. 2. Pick an item that would, in any other material, be a ‘classic’ work piece. Ie. a blazer or a pair of pumps. Leave the velvet tank tops for your dinner dates! Below are some of my favorite velvet items for work that are currently available. Happy shopping! Lovely velvet jacket! I bought a similar one years ago from J. Crew and I find it to be a very versatile piece for both casual wear and work! Thank you! Ooo good old Jcrew – I find you just cannot go wrong with their blazers- they are timeless!! Love the jacket. The velvet makes it all look so rich. The purse is to DIE FOR! Thank you so much!! And isnt it amazing!?! My mom just gave it to me; it used to belong to my grandma. Definitely my new favorite purse!! Velvet is so chic! I really enjoy working at my law firm. 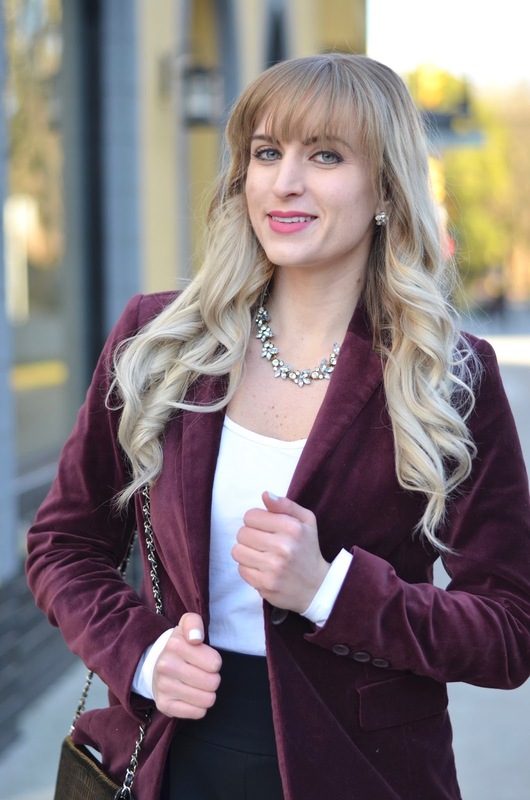 Yes, I'm a lawyer AND a fashion blogger, too.